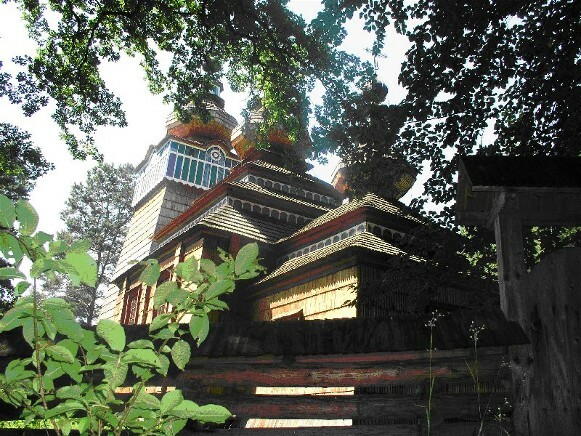 Lemko region (Лемківщина; Lemkivshchyna). The territory traditionally inhabited by the Lemkos forms an ethnographic peninsula 140 km long and 25–50 km wide within Polish and Slovak territory. A small part of the Lemko region extends into the territory of Ukraine. 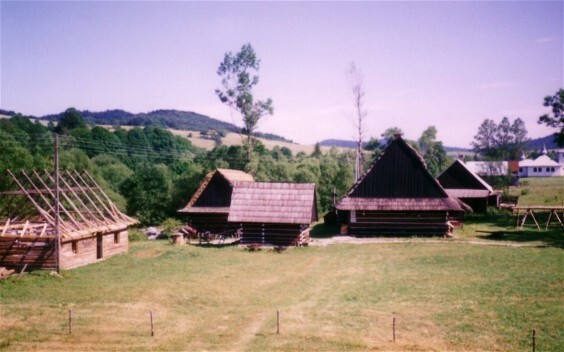 After the deportation of Lemkos from the northern part in 1946 (see Operation Wisła), only the southern part, southwest of the Carpathian Mountains, known as the Prešov region in Slovakia, has remained inhabited by Lemkos. 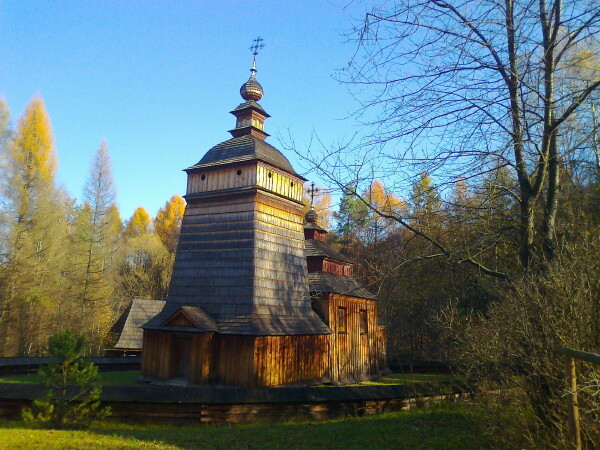 The Lemko region occupies the lowest part of the Ukrainian Carpathian Mountains—most of the Low Beskyd, the western part of the Middle Beskyd, and the eastern fringe of the Western Beskyd. 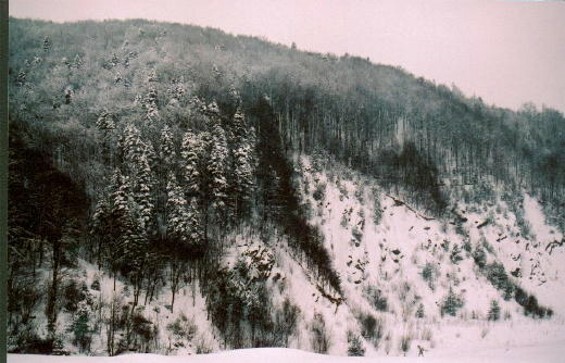 The landscape is typical of medium-height-mountain terrain, with ridges reaching 1,000 m and sometimes 1,300 m. Only small parts of southern Low Beskyd and the northern Sian region have a low-mountain landscape. 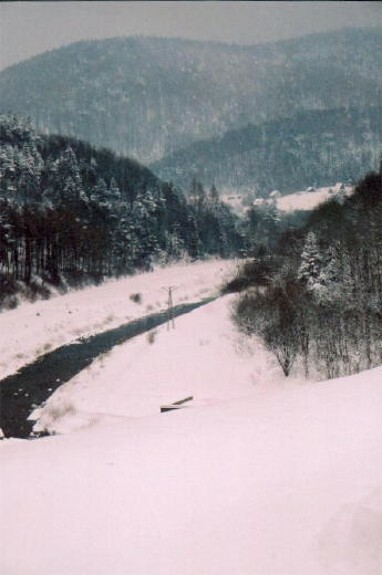 A series of mountain passes along the Torysa River and Poprad River—Tylych Pass (688 m), Duklia Pass (502 m), and Lupkiv Pass (657 m)—facilitate communications between Galician and Transcarpathian Lemkos. The northern border with the Poles runs along the first mountain ridges, which closed off the Ukrainian ethnic territory from the low foothills populated densely by the Poles (south of the Ptaszkowa–Szymbark–Cieklin–Żmigród–Dukla–Rymanów line). Toward the east the Ukrainian-Polish border descends from the highlands and runs across the foothills and the Sianik Depression, which is an ethnically mixed zone. The southern, Slovak limit of the Lemko region has many ethnic islands and peninsulas: the Slovaks expanded far north along the wide valleys of the Torysa River, Toplia River, Ondava River, and Laborets River, whereas the Lemkos generally inhabited the mountains. The eastern border with other Ukrainian ethnic groups consists of a wide Lemko–Boiko transitional belt from the Oslava River to the Solynka River. Until 1946 the Galician Lemko region comprised the southern part of Nowy Sącz, Gorlice, Jasło, Krosno, and Sianik counties, the southwestern part of Lisko county, and four villages of Nowy Targ county. Altogether the area covered nearly 3,500 sq km and had a population of 200,000, of which 160,000 (1939) were Ukrainians inhabiting about 300 villages. North of the homogeneous Lemko region lie one large and a few small islands of zamishantsi, whose dialect is close to the Lemko dialects. 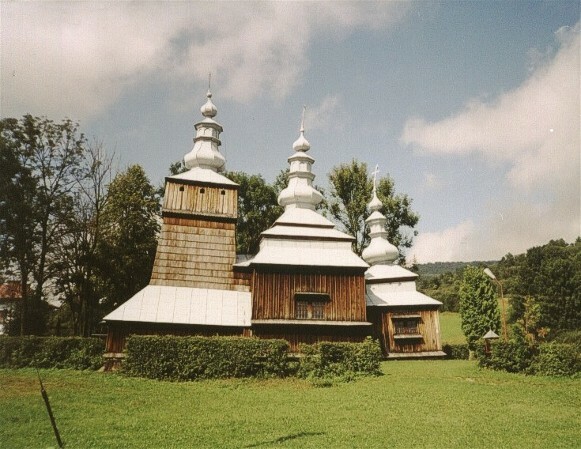 The Transcarpathian Lemko region occupies most of the Prešov region—about 3,000 sq km with a population of 110,000 and a series of ethnic islands. The number of Lemkos in Galicia in 1939 was estimated at (depending on whether or not the transitional groups were included) 140,000 to 200,000, and in the Prešov region, 100,000 to 140,000. 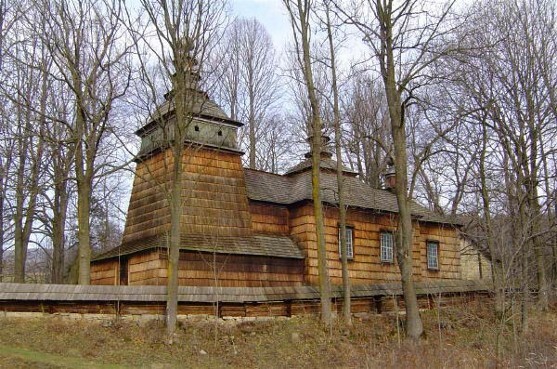 The Lemko region is extended sometimes—mistakenly—to the Dynów and the entire Lisko region. History. The southern Lemko region belonged to Kyiv's sphere of influence from the mid-10th century to the 1020s, when it came under the rule of Hungary. The eastern part of the northern Lemko region, extending to the Wisłoka River, belonged to Kyivan Rus’, and then the Principality of Galicia-Volhynia. After Casimir III the Great occupied the eastern part of the Lemko region in the 1340s, the entire Lemko region came under the rule of Poland until 1772. The eastern part formed the so-called Sianik land, which was part of Rus’ voivodeship; the western part was integrated into Cracow voivodeship. 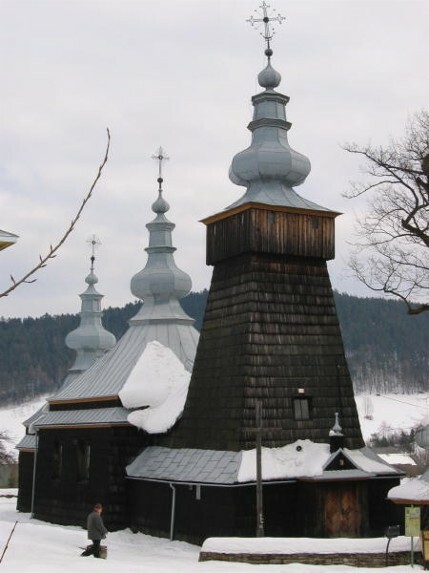 From the mid-14th century three colonization waves penetrated the Lemko region: Slovak-German colonists from the southwest, who settled in Transcarpathia; German-Polish colonists from the northwest; and Ukrainians, with Wallachian herdsmen, who settled in the east. 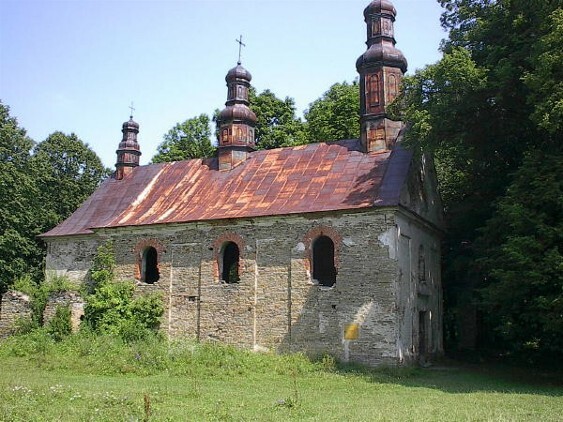 The non-Ukrainian colonists occupied the lower, agricultural zone of the foothills and denationalized most of the Ukrainian inhabitants, particularly those between the Wisłoka River and Sian River. The Ukrainian settlers occupied the sparsely populated wooded Beskyds. Their villages were usually founded on Wallachian law, and they engaged in animal husbandry. 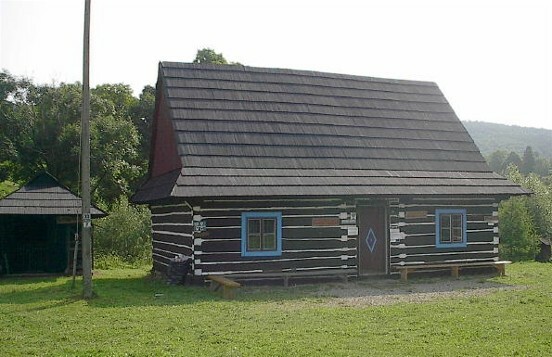 In the western Lemko region, which never belonged to Galicia-Volhynia, the Ukrainian colonists wedged themselves in between the Poles and the Slovaks, although some scholars claim that they overpowered a scanty Polish population that had lived there for a long time. Colonization ended in the 16th century, although some new settlements sprang up in the 17th century. By the end of the 16th century the contemporary Lemko dialects had been formed (Ivan Pankevych), and the dialects' boundaries, which with minor changes lasted until 1946, had been established. 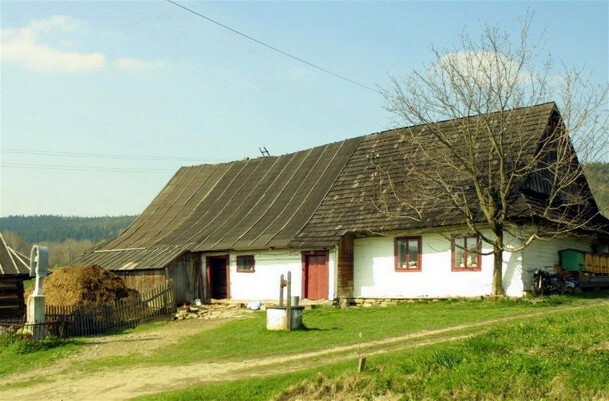 In spite of political divisions, Galician and Transcarpathian Lemkos maintained close ties: the farmers steadily migrated south, where the corvée was less oppressive. The Galician Lemkos took part in the Austrian-Transylvanian struggle in the 17th century and in the Ferenc II Rákóczi uprising at the beginning of the 18th century. 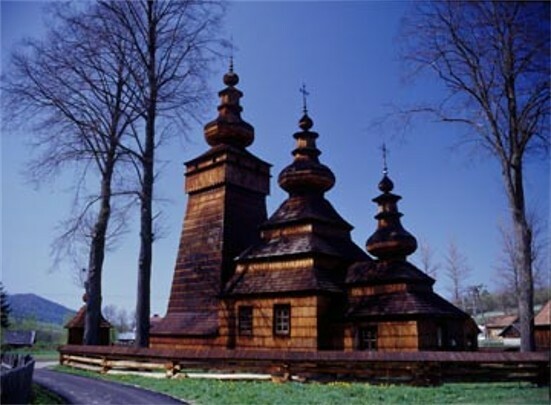 The Lemko region was shaken also by peasant revolts, especially in Bohdan Khmelnytsky's and A. Kostka Napierski's times. 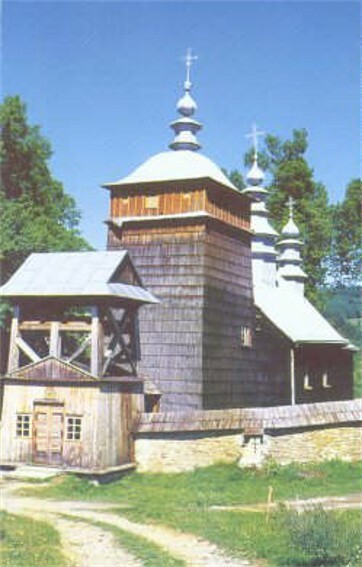 The northern Lemko region and, until the 15th century, Transcarpathia belonged to Peremyshl eparchy. Under Austrian rule (from 1772) the ties between the Lemko region and the rest of Galicia were weak; hence, the Lemko national awakening began only at the end of the 19th century. Population. In 1939 the population density in the Sianik Depression was 110 per sq km, and in the rest of the Galician Lemko region, 55 per sq km. Only 15 percent of the population was urban. The only city was Sianik; the other population centers—Muszyna, Krynytsia (Krynica), Bukivsko, and Balyhorod—were merely towns. The cities closest to the region—Nowy Sącz, Gręlów, Gorlice, Żmigród, Dukla, and Rymanów—were predominantly Polish and Jewish. Excluding the northern Sianik region, Ukrainians accounted for 82 percent of the population, Poles 13 percent, and Jews 5 percent. In the Sianik region apart from the city, Ukrainians accounted for 60 percent, and in the city, for only 8 percent of the population. Economy. The basic occupation in the region is farming, which meets only local demand. Before the 1880s ox grazing and sheep herding were important. The animals were bought in the spring in the Boiko region and Hutsul region and then sold in the fall in neighboring towns. After the servitudes were abolished and grazing in the forests was restricted, animal husbandry declined, and dairy farming and crop growing (oats, potatoes, flax, and, in the northern Sianik region, rye and wheat) expanded. Secondary occupations included lumbering; handicrafts and cottage industry, such as weaving; woodworking; quarrying; and selling grease. Until 1914 seasonal labor in Hungary during harvesting and temporary work in North America were important sources of revenue. 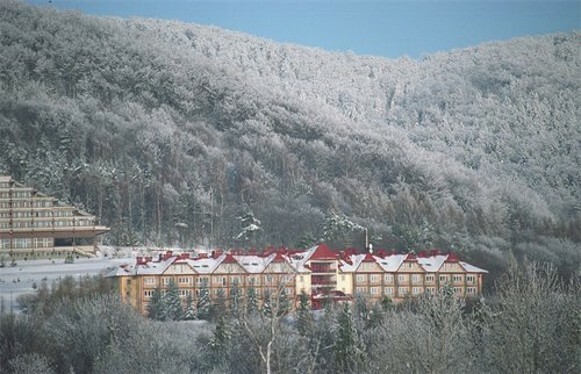 The Lemkos also found work and markets for their dairy products, berries, and mushrooms at spas and health resorts in Shchavnytsia, Krynytsia (Krynica), Zhegestiv, Vysova, Iwonicz, and Rymanów. Culture. 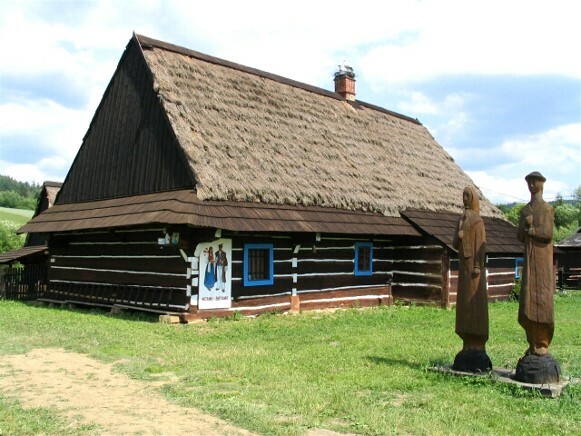 The Lemko region produced many Ukrainian activists and intellectuals, few of whom could find employment there. Most of them were descendants of old clerical families. Many religious leaders, including Yosyf Sembratovych, Sylvester Sembratovych, Toma Syrus Poliansky, Yuliian Pelesh, and Yosafat Kotsylovsky, and some scholars, such as Rev Yosyf Delkevych and Rev Tyt Myshkovsky, came from the region. 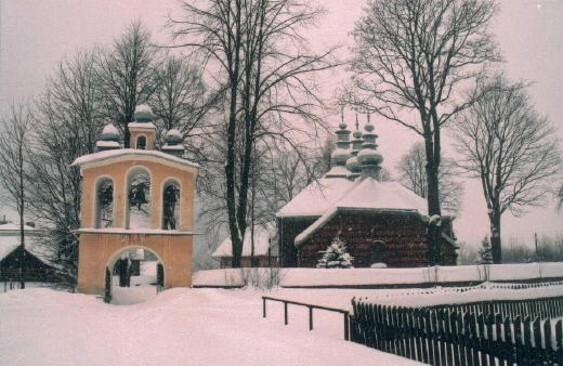 Authors of Lemko origin who wrote about the region include Rev Volodymyr Khyliak, Bohdan Ihor Antonych, Ivan Fylypchak, Yuliian Tarnovych, Hryhorii Hanuliak, and Ivan Rusenko. The composer Mykhailo Verbytsky and the singers Modest Menzinsky and the Baiko sisters are of Lemko descent. Contemporary artists whose Lemko heritage is reflected in their work are Mykhailo Chereshnovsky, V. and I. Odrekhivsky, Hryhorii Petsukh, and Nykyfor. 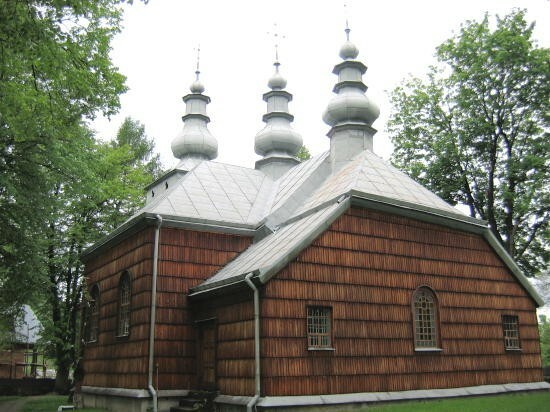 Research work on the Lemko region reached a high point in the 1920s and 1930. It focused mostly on the Lemko dialects (Ivan Verkhratsky, Ivan Zilynsky, Ivan Pankevych, Y. Shemlei, and Zdisław Stieber) and ethnography (Volodymyr Hnatiuk, Filaret Kolessa, I. Falkivsky, and Roman Reinfuss). 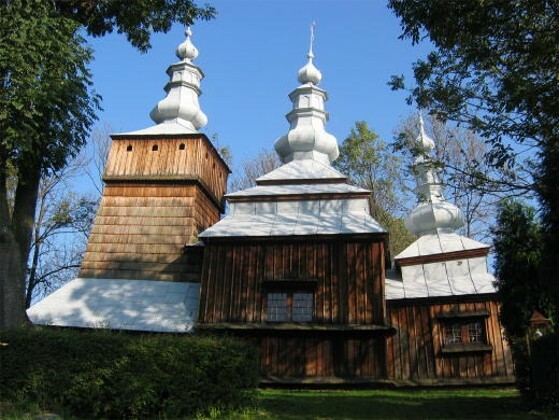 There are only a few works on the history of the Lemko region (Myron Korduba, Mykola Andrusiak) and several works in contemporary history (I. Fylypchak, Yu. Tarnovych, F. Kokovsky, and V. Buchatsky). Current information about the region can be found in the Lemko press—Lemkivs’ke slovo (Warsaw) and Lemkivshchyna (New York).